For the village in Bacău County, see Stănișești. For the village in Mehedinţi County, see Izvoru Bârzii. 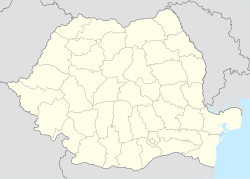 Balotești is a commune in the northwestern part of Ilfov County, Romania. Two small rivers flow through this location: Cociovaliştea and Vlăsia. It is composed of three villages: Balotești, Dumbrăveni and Săftica. The commune is named after an 18th-century boyar, Balotă, who owned local lands. On March 31, 1995, a TAROM Romanian Airbus A310 crashed near Balotești, leaving 60 dead (see Tarom Flight 371). This page was last edited on 21 March 2018, at 23:40 (UTC).